Update - 20130404- Panstarrs was detected in STEREO HI1A roll data images on 20130319 3 days after leaving HI1B imager FOV. 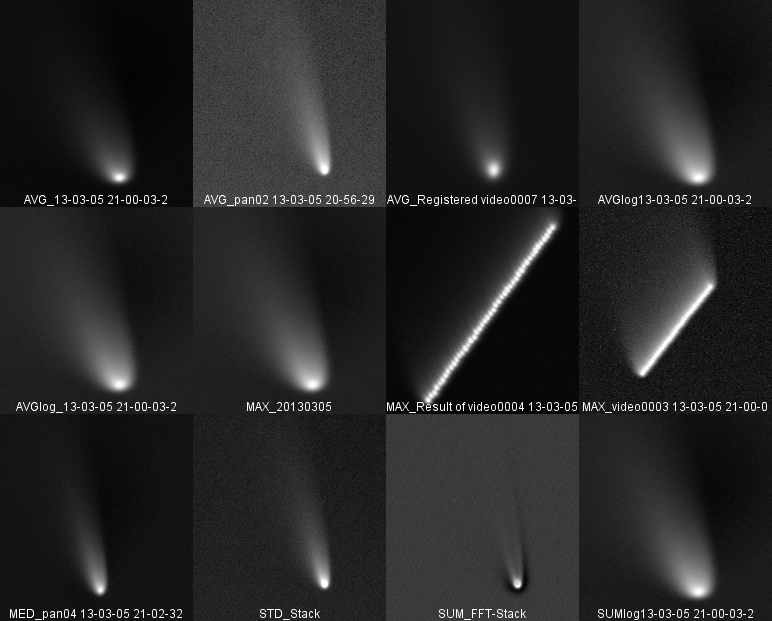 Update - 20130320 - Ground base images with longer exposures are now showing more of the tail structures that have been seen in STEREO HI1B images. image credits to Michael Jager and STEREO/SECCHI/NASA/NRL. 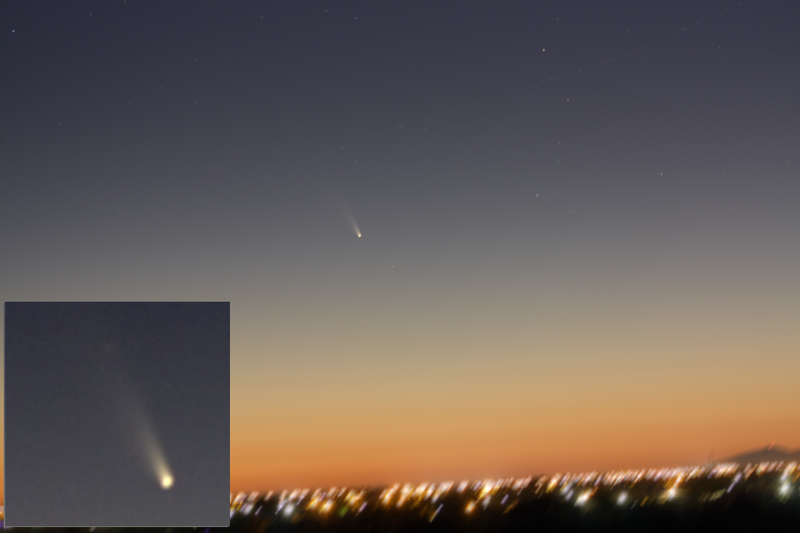 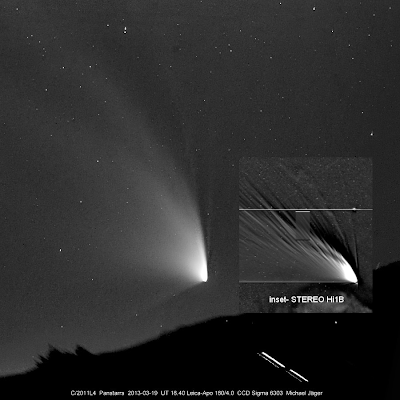 Update - 20130316 Tail dynamics of Panstarrs ..
Update - 20130315 - The Stereo images for 20130312 are publicly available. 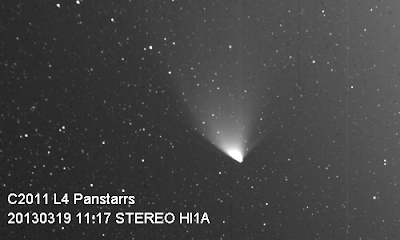 Update - 20130314 - Panstarrs enters the STEREO HI1B imager FOV on 20130309. The tail details have evolved into the following structures. 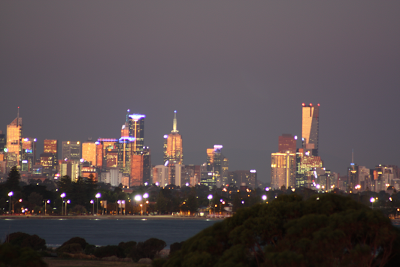 The tail length is now beyond 10degrees. 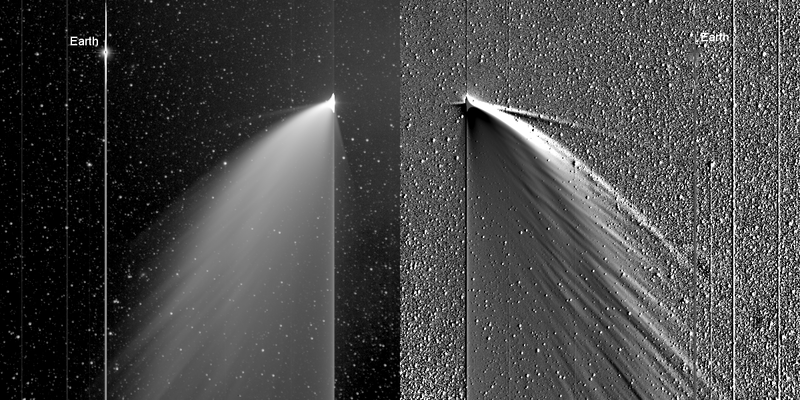 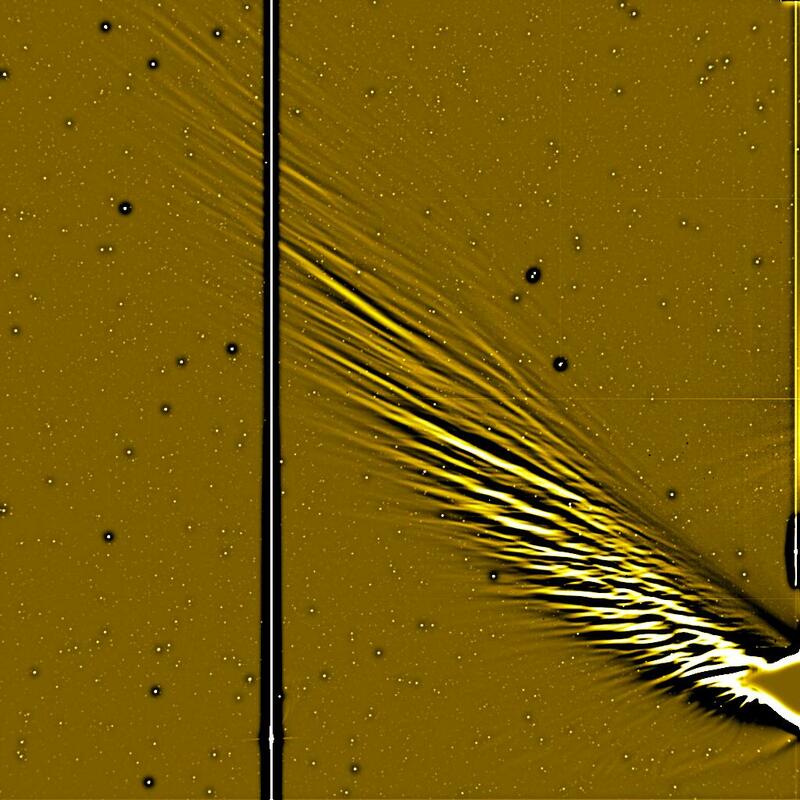 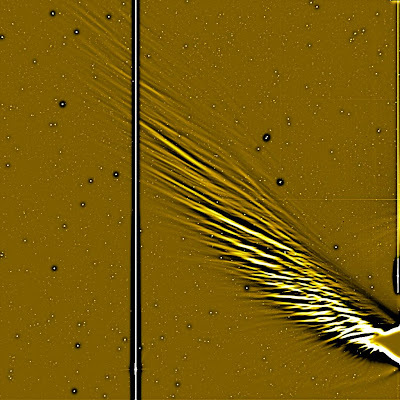 Image data courtesy of STEREO/SECCHI/NRL/NASA. 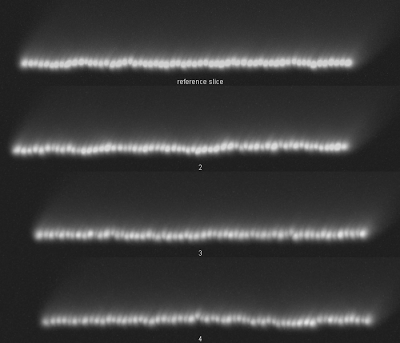 processed with ImageJ. 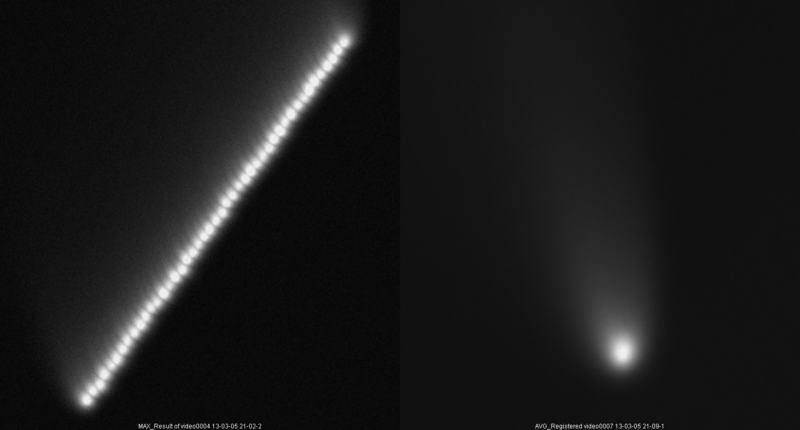 Update - 20130306 - Some treatments of the 1sec avi data using imageJ. 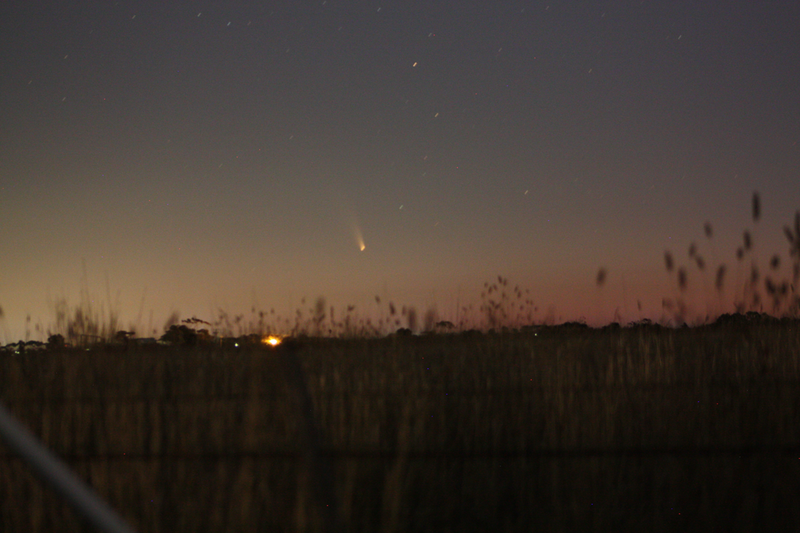 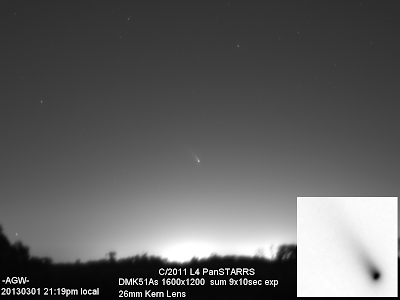 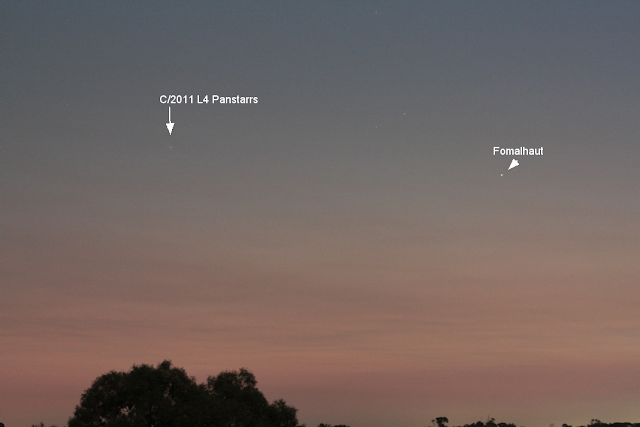 Update 20130301 - More wide FOV of C/2011 L4 PanSTARRS using a DMK51As and 26MM lens.